663 Properties Found. Page 1 of 9. 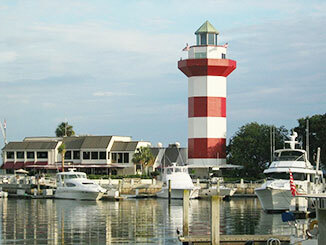 Hilton Head Island is the largest island on the East Coast except for Long Island. It is larger than Manhatten. The Island's on the Intracoastal Waterway and is part of the South Carolina Lowcountry. It's close to Savannah, GA, and less than a 100 miles south of Charleston. The highlights of the Island, which make it a popular vacation spot, are its 12 miles of spectacular beachfront along the Atlantic Ocean and its dozens of world-class golf courses. More than 2 million visitors contribute billions of dollars to the local economy of Hilton Head Island every year.